A truly astonishing discovery about ancient Rome could forever change how we build buildings in the future. Scientists have just made a huge discovery about ancient Rome that could change the future of construction. 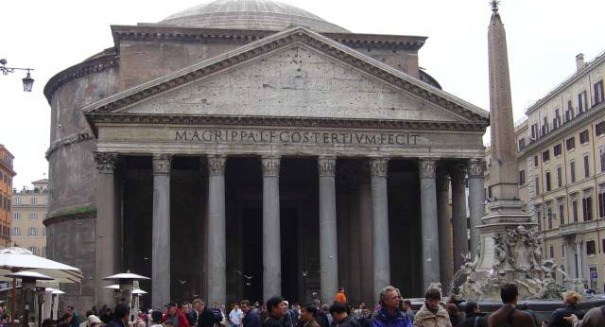 After examining the chemistry of some ancient Roman concrete, they found out exactly how builders constructed buildings that not only didn’t crumble and erode, but actually seemed to get stronger. The Roman concrete was made from lime and volcanic ash, and the material was used to build sea walls. Scientists now think that the volcanic material actually reacted with the sea water in such a way as to strengthen the concrete. This method could allow us to build environmentally friendly buildings in the future. The way this Roman concrete stood up to Mother Nature had long baffled scientists, but this breakthrough could help solve that old mystery and lead to future technological breakthroughs. Scientists think it has to do with a rare mineral called aluminium tobermite that can be found in the materials.